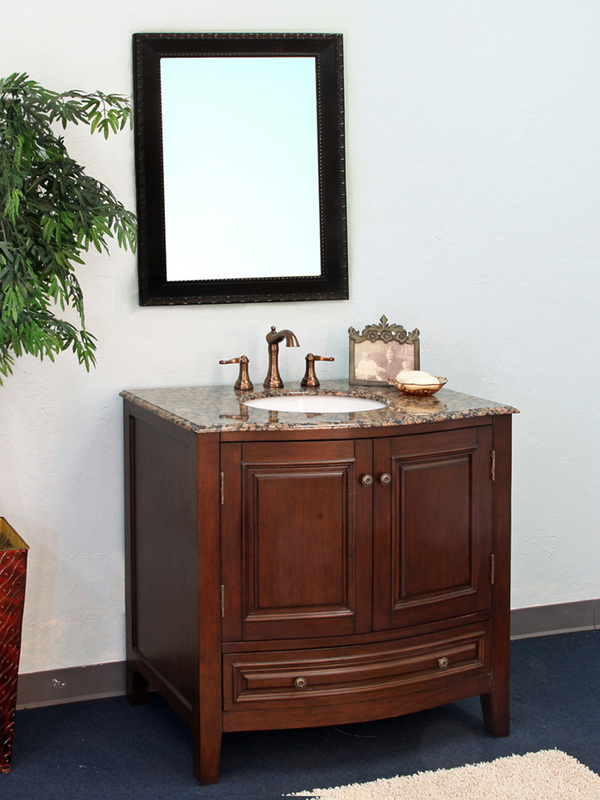 The Tropea Traditional Vanity features a great traditional look with its dark walnut finish, beveled doors, and antique brass hardware. 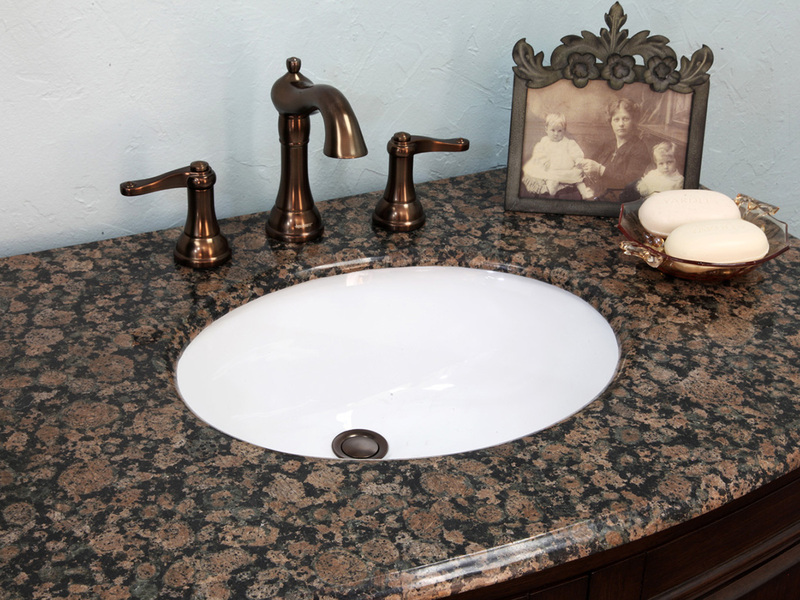 The vanity is topped with a beautiful Baltic Brown Marble counter and undermounted ceramic sink. 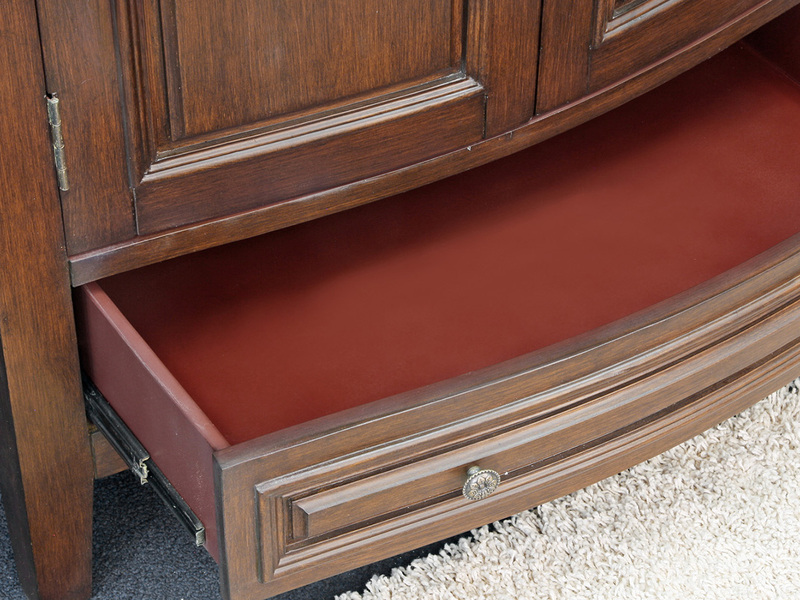 The cabinet provides a lot of storage space for bathroom supplies and accessories, with a bottom drawer to expand your storage options. 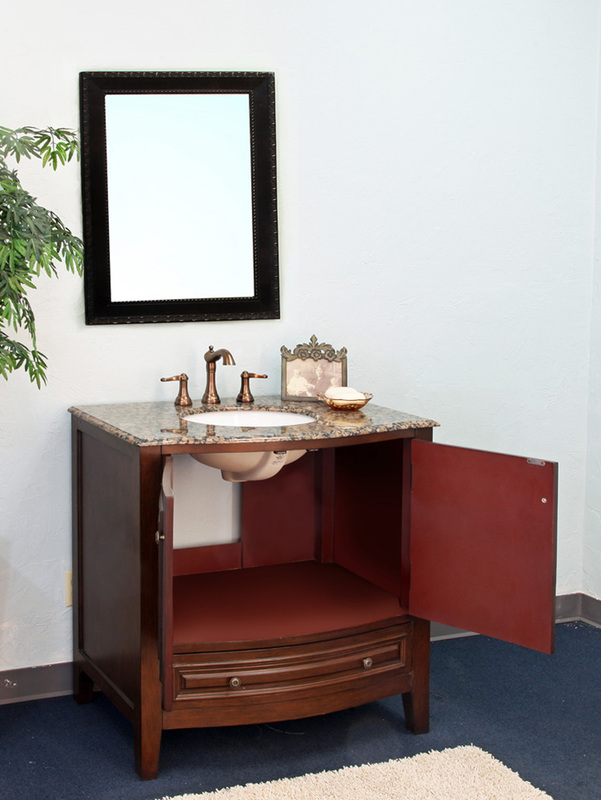 The wooden cabinet is protected against humidity by its water proof finish, preserving the vanity's handsome form. 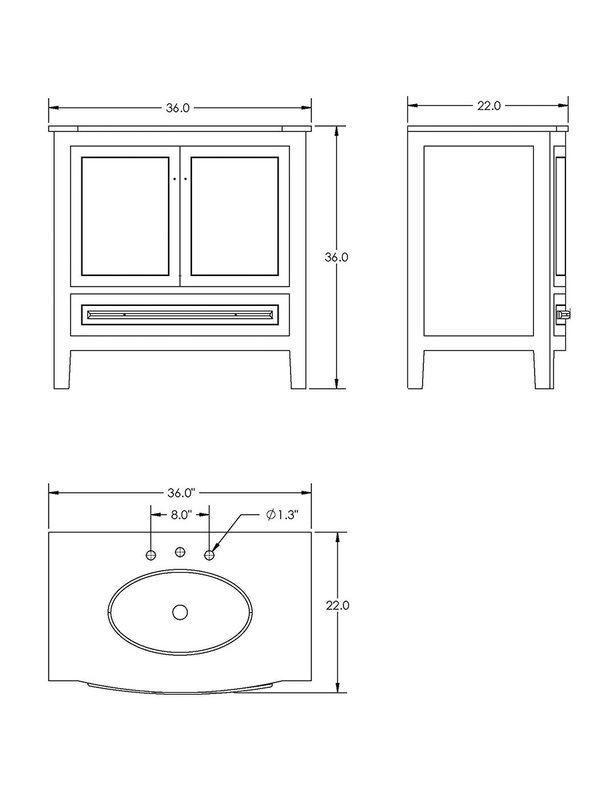 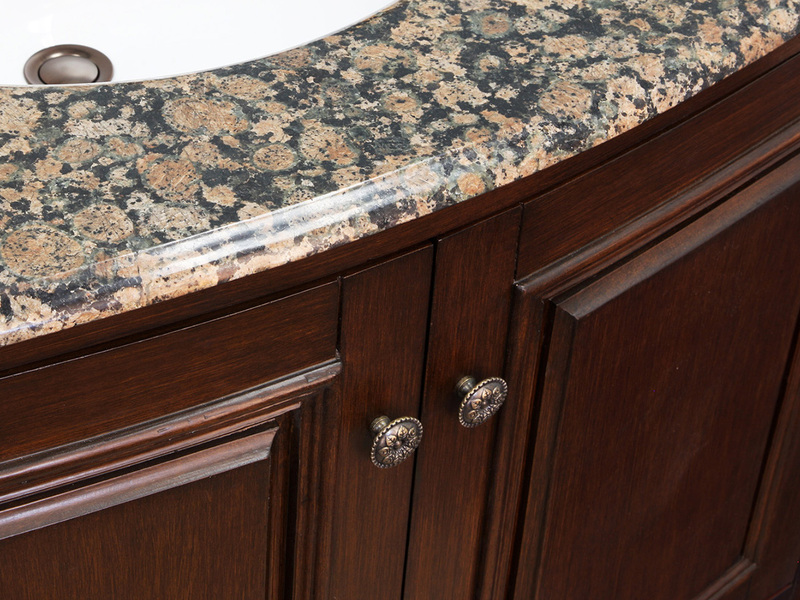 The vanity has an optional backsplash, which is crafted from the same Baltic Brown Marble as the counter top.